Pinball games are some of the oldest types of arcade games you can play. There’s just something about watching a little metal ball bouncing all over the place and while digital versions of pinball have replicated these games quite well, nothing beats the sights and sounds of the real thing. 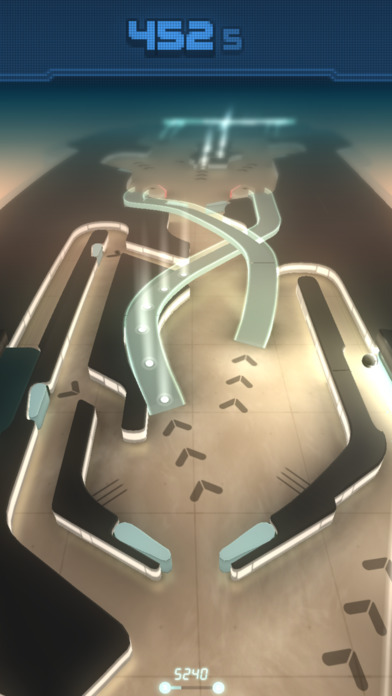 Which is why I’m glad to see that PinOut isn’t trying to replicate that traditional pinball feel. Instead, developer Mediocre has created something that build upon what we love about pinball, but makes it much different and new that can’t be done with a traditional pinball arcade machine. What PinOut does to make itself different is that you aren’t confined to just 1 table. Instead, it manages to create an infinite amount of tables that are all connected to each other. 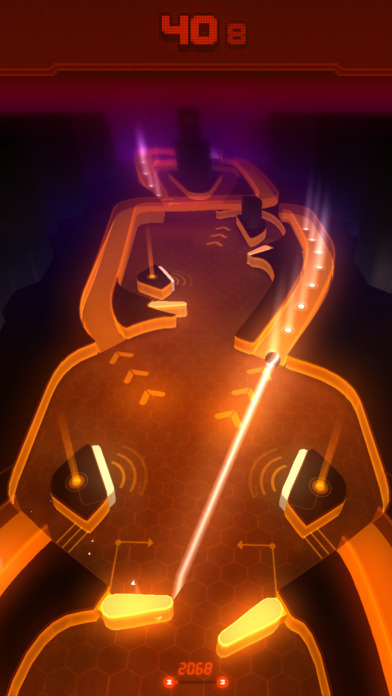 Think of this game as like an endless runner, but with a pinball and a time limit. The goal is to see how just how car you can get with just one ball and a set amount of time. Time of course can be extended by hitting your ball over certain pathways so if you want to get far in this game, try to hit these objectives. 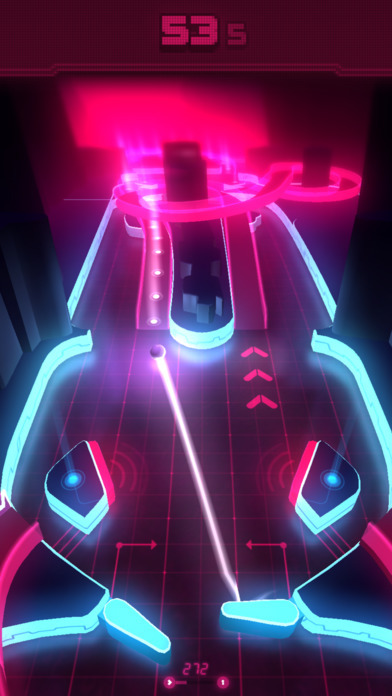 Presentation wise, I’m digging the whole futuristic neon look as well as the upbeat soundtrack. The physics in the game though are a bit off, but I believe it’s like that to make things a bit easier and less frustrating. It keeps the game moving along quite well. 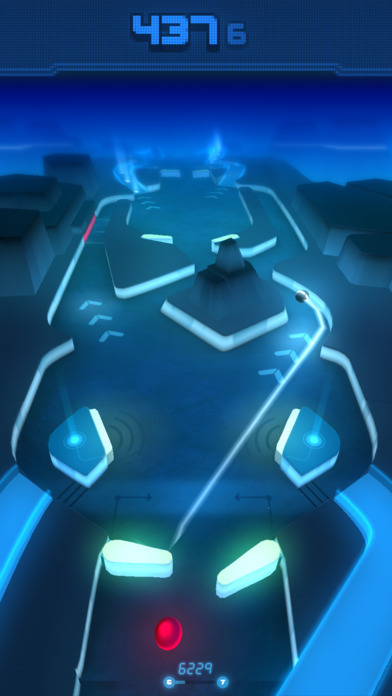 While PinOut is a free to play game, you’ll be surprised to discover that there aren’t any ads at all. Instead, there is an option to purchase the premium edition which unlocks the ability to continue from any checkpoint. 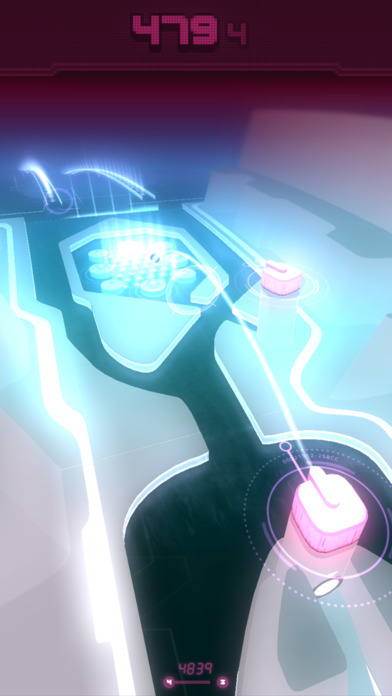 Overall, PinOut is a very enjoyable and different take on the game of pinball. The endless nature of it makes it very fun and keep things from feeling so monotonous.